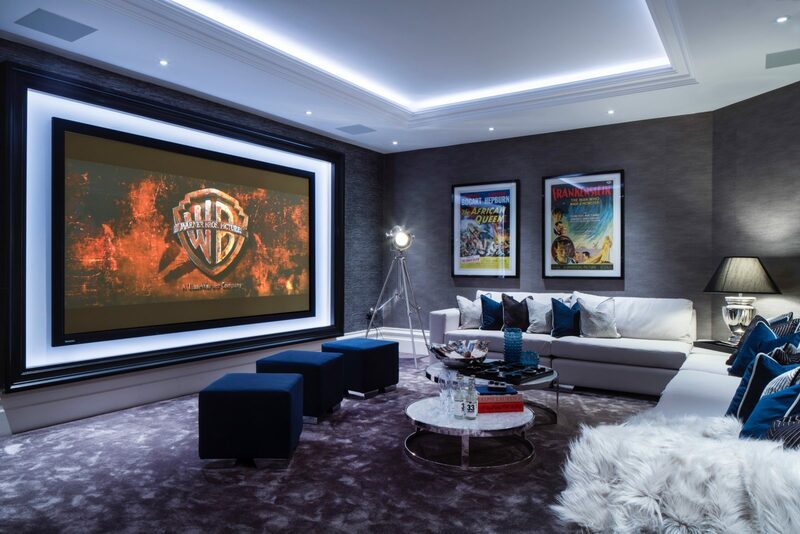 Complete with superb sound and video quality for an immersive experience, a home cinema can be the most rewarding room in a house to many people. Our design service ensures exceptional audio and video performance taking into consideration your aesthetic goals. The end result can be a room to escape reality and enjoy the latest features such as Ultra HD 4K resolution and Dolby Atmos Surround Sound technology. Aside from the audio-visual equipment that we specify, we can also provide you with guidance on the furnishing and decoration of the room. 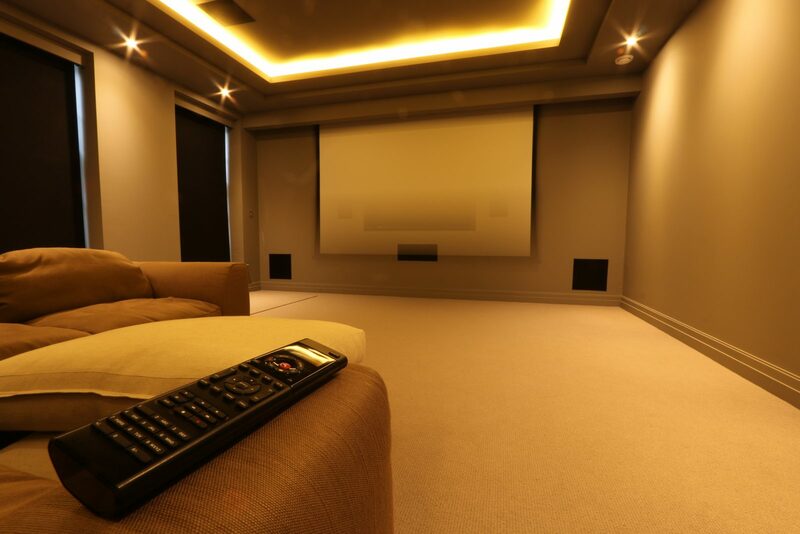 When integrated into a Home Automation system your cinema room can be optimised for viewing with a single button press. The lights will dim, curtains shut and the movie will begin to play all from the comfort of your seat.